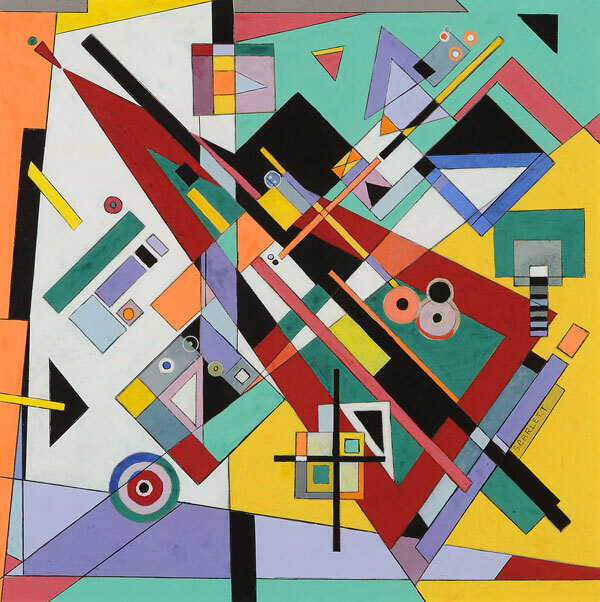 Daniel Libeskind’s star for the Christmas Tree at Rockefeller Center. Swarovski recently unveiled a dazzling new topper for the Rockefeller Center Christmas Tree. 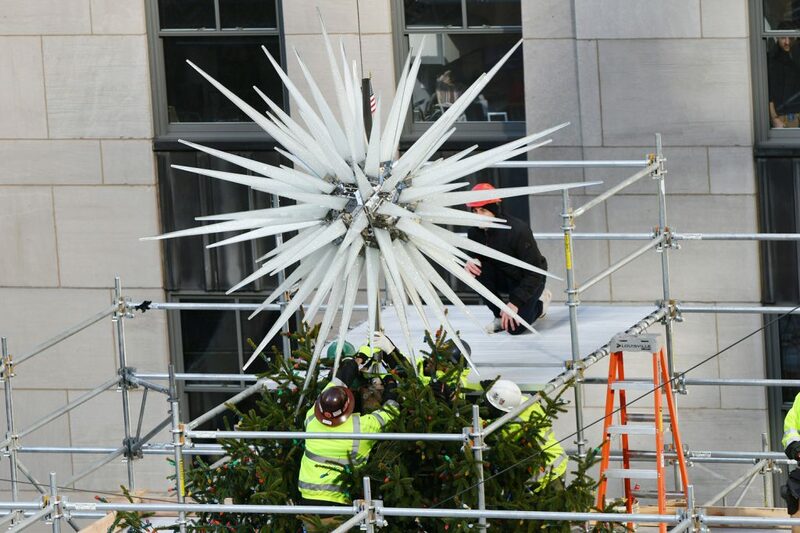 Designed by renowned architect Daniel Libeskind, the star, which debuted on November 14 during the Swarovski Star Raising at Rockefeller Center, is the first redesign of the Swarovski tree topper since it was introduced in 2004. 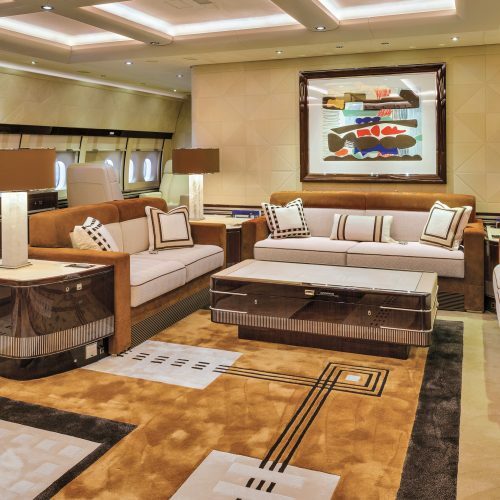 The star weighs in at a whopping 900 pounds and features 70 spikes covered in 3 million Swarovski crystals— nothing short of a shining architectural masterpiece. “The new Swarovski Star for the Rockefeller Center Christmas Tree is inspired by the beauty of starlight–something that radiates meaning and mystery in the world. 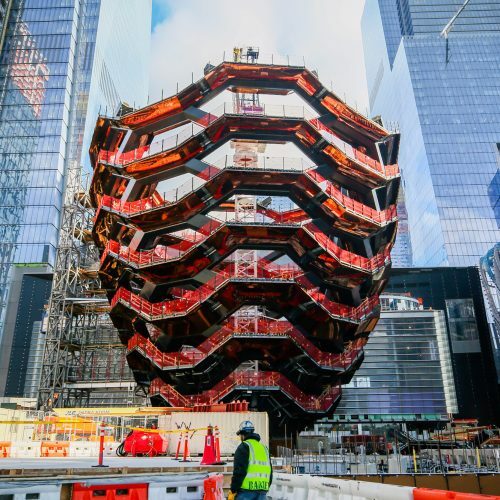 The star is a symbol that represents our greatest ambitions for hope, unity, and peace,” Libeskind, the renowned architect who oversaw the reconstruction of the World Trade Center, said in a statement. 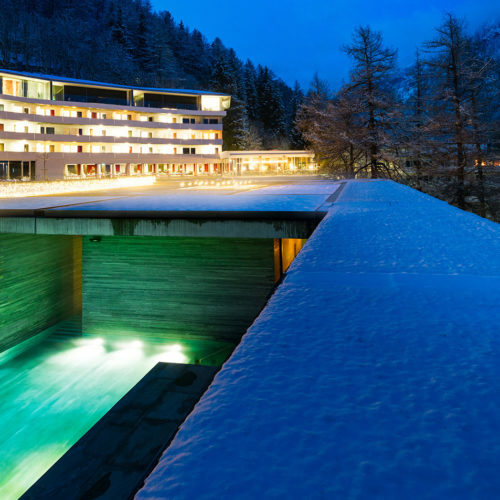 Libeskind previously worked with Swarovski on a crystal and marble chess set in 2016 that was inspired by his architectural designs. Along with the design of the star, Libeskind has created the 2018 collection of crystal holiday ornaments for Atelier Swarovski Home. Recommended: Could Amazon’s Arrival in New York Cause a Real Estate Boom? 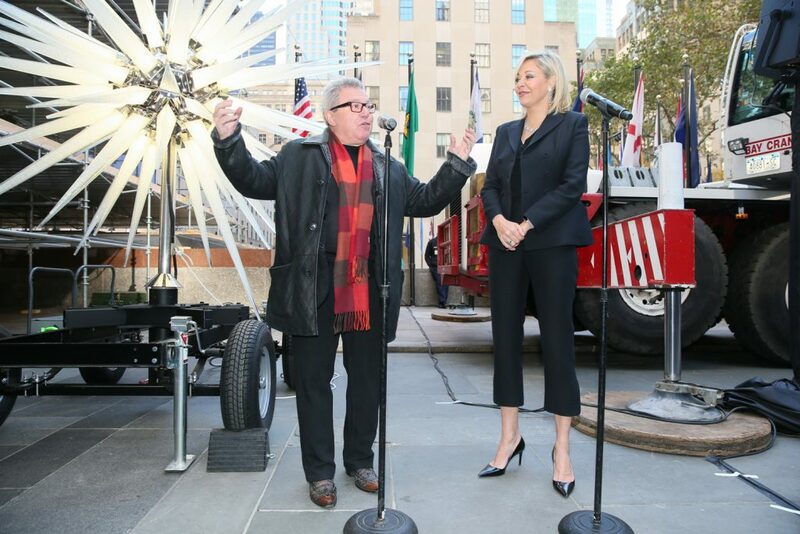 “We are honored to work with one of the world’s greatest creative talents, Daniel Libeskind, on his thrilling new design for the Swarovski Star atop the Rockefeller Center Christmas Tree. Each holiday season the Star brings joy to New Yorkers and visitors from around the world, and will shine as a beacon of hope for many years to come,” said Swarovski’s executive board member Nadja Swarovski in a statement. 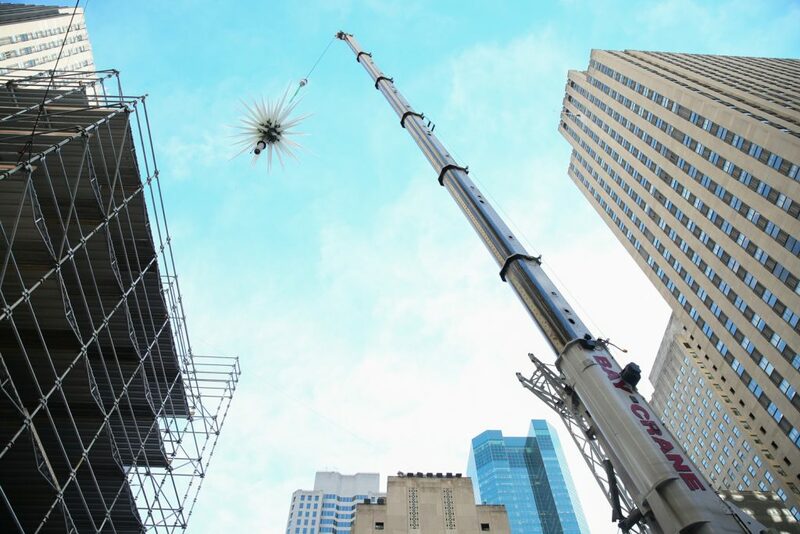 While the star will be 100 feet up in the air, visitors can also get a closer look at an exact replica of the star at ground level at the nearby the Libeskind-designed Swarovski pop-up on Rockefeller Plaza. 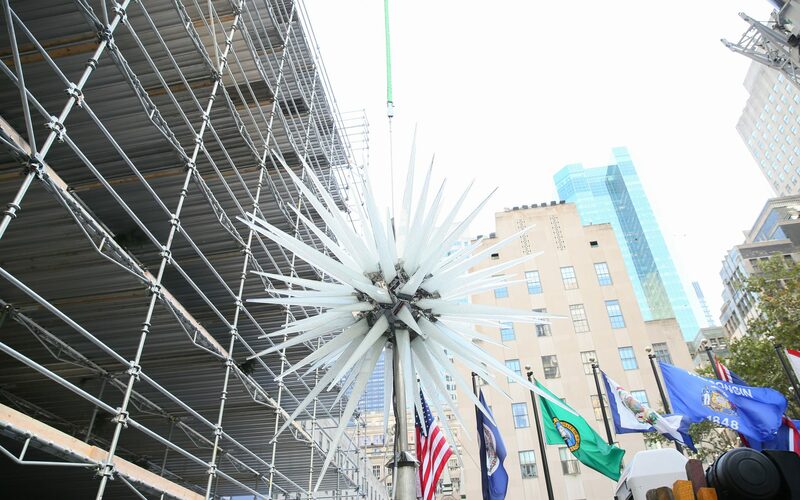 The star will start lighting up Midtown on November 28th at the Rockefeller Tree Lighting Ceremony and will be on view through January 7th.